It’s late Friday afternoon, and I’ve received a call from my colleague at Medair’s offices in Switzerland. 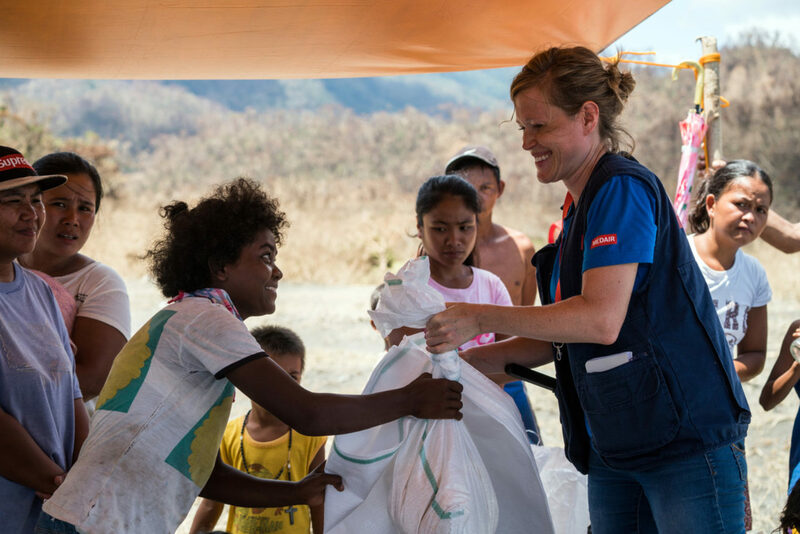 A devastating Super Typhoon is about to strike the northern island of Luzon in the Philippines, and Medair’s Global Emergency Response Team has decided to respond. As a member of this team for over three years, these calls are not new to me. In fact, I’m very familiar with what comes next. An urgent trip to the office to meet with the team, prepare emergency kits, read the latest briefs, film a short video to update supporters, organise the logistical details of our team’s intervention: how to get there, who to connect with on the ground, how to access those most affected. Then rush back home to pack what I can before jumping on a train to the airport, and making a quick call to family and friends just before boarding. Fast forward 16 hours, and I’ve landed in the Philippines. After a long drive north due to the airport being damaged, I arrive at our destination. That’s when it hits you. You never get used to seeing the effect of a natural disaster. In this case, Super Typhoon Mangkhut, the strongest cyclone to hit the Philippines since Typhoon Haiyan in 2013, left devastation in its wake: houses, crops and fishing boats destroyed, roofs blown away, families left homeless, lives lost or forever changed. 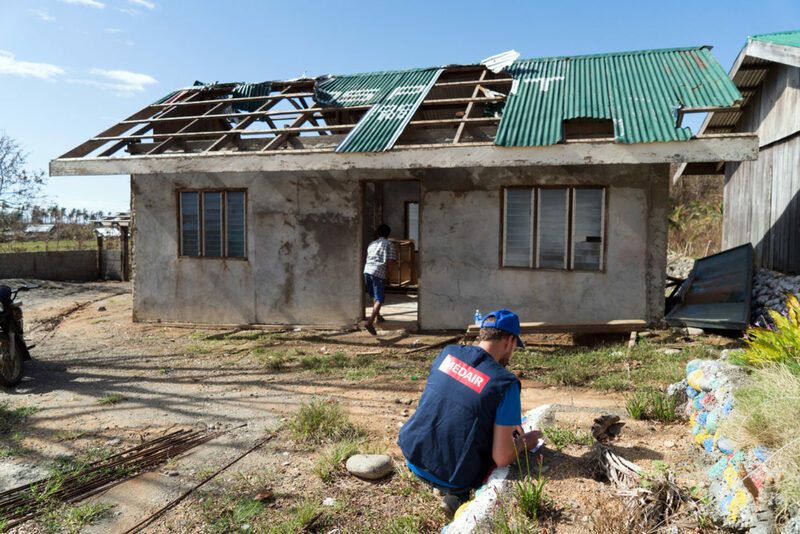 Despite everything you see as an emergency relief worker, nothing really prepares you for that moment when you meet families who are standing by their flattened homes and no longer have a way of feeding their children or of earning an income. Naturally, you first feel immense sadness. But then something stirs within you: “This is why I’m here. This is why I do this.” It motivates you to act as swiftly and efficiently as possible to help alleviate the suffering. So you roll up your sleeves and get to work. Having assessed the most urgent needs, we determined how best to meet them: it quickly became apparent that families needed shelter and rice. My role as a Logistician was to find a way to make this happen by purchasing the necessary items, putting together the kits, and organising transportation. The latter was undoubtedly the most challenging part: our aim was to reach communities that no one else had been to, where no roads exist, some of which were realistically only accessible via helicopter or boat. Through team work and working hand in hand with local communities, over the following few weeks we provided shelter kits, tools and rice to over 3,000 people in one of the most remote coastal parts of the island. We also repaired three schools that also serve as community storm shelters, which were severely damaged by the typhoon. Jonathan Genet, Member of the Global Emergency Response Team, assesses the damage made to a school. I was struck by people’s calmness and steadiness in the wake of what they had gone through. These were not victims. These were survivors, and they were still standing. Within a few weeks they would hopefully be able to resume their lives. Like many of us when a disaster of any kind strikes, they just needed a helping hand. Nath Fauveau, Member of the Global Emergency Response Team, provides emergency shelter and food kits to affected families. I was reminded of a simple truth: no one should be forgotten. We had purposefully sought out the most remote of communities that we knew had not, and would not, receive help from anyone else for weeks, if not months to come. What we brought to them was not life-altering. But it was what was needed in that moment. And it mattered to them. I will never forget what a young woman told us when we reached Camunayan, her village lost in the dense mountains of Baggao Province: “How did you ever find us?” she asked me. 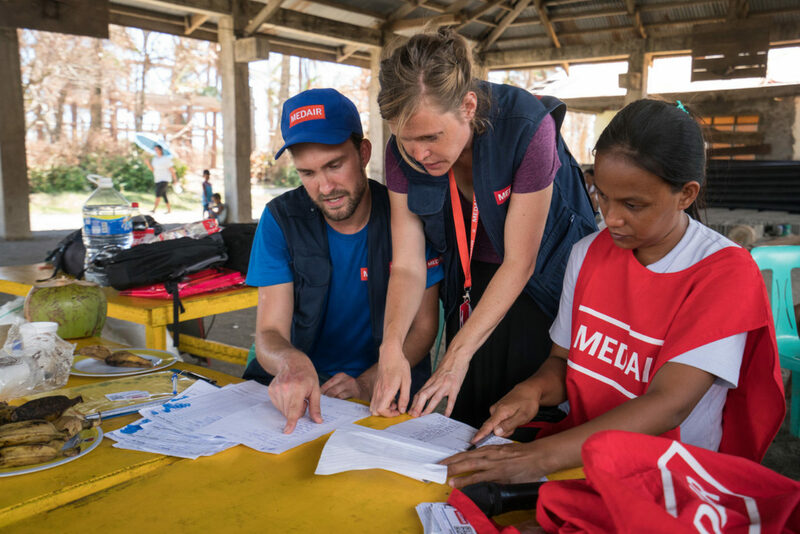 Medair is the only one who brought them relief, and I am so glad that we did.